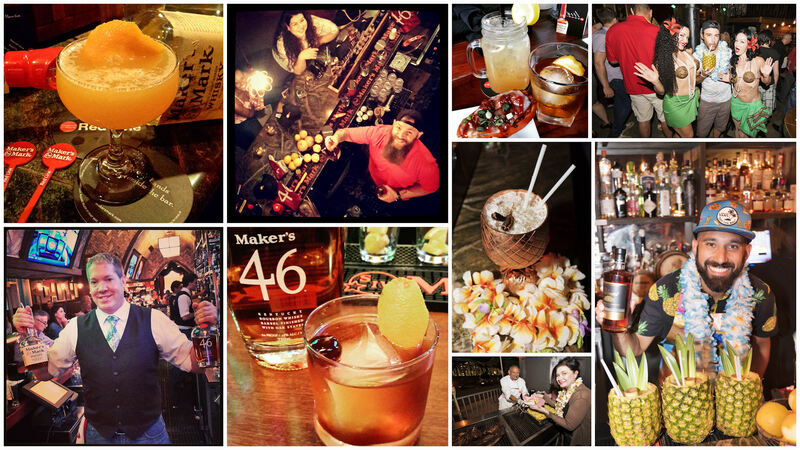 A look at a month in the spirited life of Mixologista. 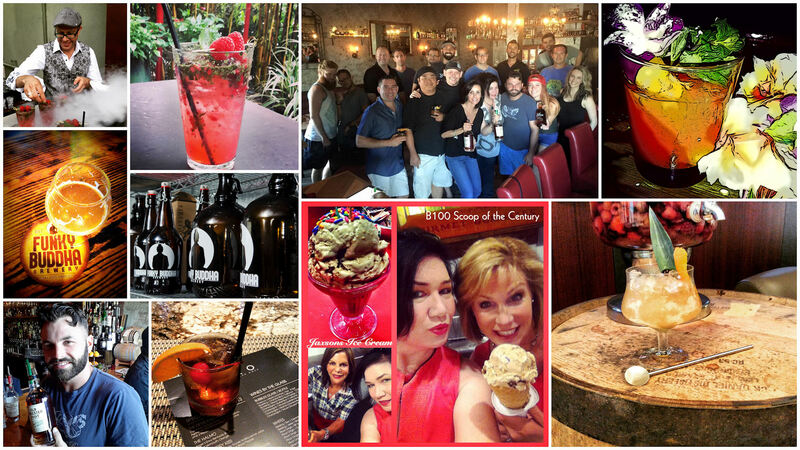 Summer was full of learning, collaborating, celebrating and cocktailing! I started the month off at the Breakthru Beverage Florida MAT center. We learned how to craft rum cocktails in Nick Nistico‘s famous carved pineapples. 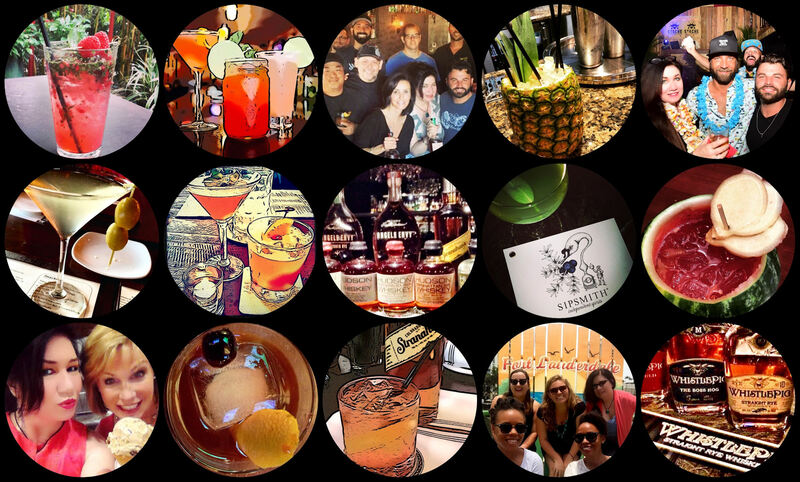 The next evening we celebrated all things tiki at Stache’s Stripped n’ Stranded Luau, boom! Mango daiquiris and pineapple rum cocktails. We ended the weekend on a humid Sunday afternoon, we gathered at Stache for the Maker’s 46 Redline Tour tasting our way through Downtown Fort Lauderdale one cocktail at a time. After spending two days collaborating on a strategic plan, I popped in Funky Buddha Brewery for a pint of craft beer and to meet with executive Chef Jeff Vincent. The brewery is adding a new Craft Kitchen in the fall and I stopped in to learn all about it and as a bonus picked up two pints of their new craft beer ice cream. Later that evening I headed to Mizer Park for iPic’s Tanzy media dinner taking us on a diverse culinary tour of new menu offerings. At the bar we enjoyed a flavorful chilled Basil Strawberry Caipirinha. On my quest to try an Old Fashioned at every bar in town, I sipped a Halmos Old Fashioned on Las Olas at YOLO. Headed back to Boca Raton to get tips from master bartender Fred Parent on how to make unique Hendrick’s Gin cocktails at the Rebel House. More authentic tiki cocktails where ahead as we tasted the delectable Mai Tai at the world famous Mai Kai in the Molokai Bar at the Hukilau finale with Jason, my photography partner. I had fun with my new creative apps, and started a cocktail art series. Monday Night Fights: I was honored to judge the BareKnuckle Bartender brawl at ROK:BRGR South Miami with Stranahan whiskey. 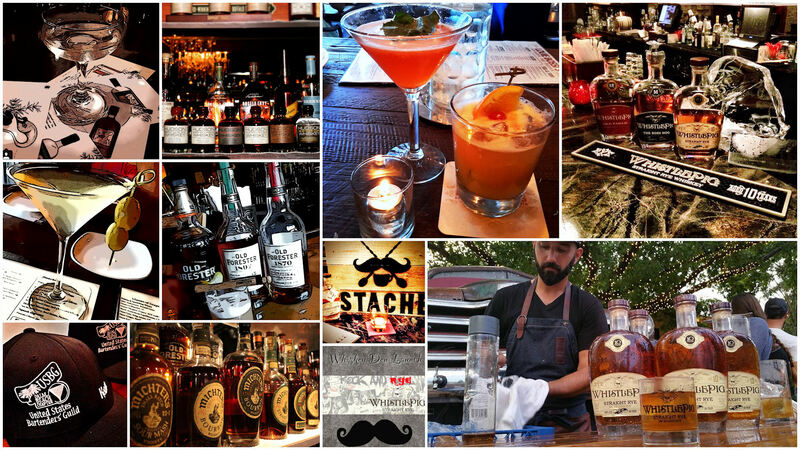 It is refreshing to see such talented bartenders in south Florida. With unique ingredients in a hidden basket (chocolate syrup, dulce de leche, tamarind, dragon fruit, pork rinds, fudge grahams, coconut milk, maple syrup, apple cider vinegar and malta) two bartenders competed to make the best cocktails for us. After a tight battle, one bartender was awarded a prize and moved on in the competition. The judge’s received a bottle of Stranahan’s Colorado Whiskey, sweet! Tuesday’s surprise was an email announcing that my ice cream flavor was selected as the Broward 100 “Scoop of the Century“ by Jaxson’s Ice Cream Parlor. Stop in for a scoop of Caramel Mocha Coconut Crackle. I won a Kitchen Sink that I plan to share with friends in July. We got spirited with Old Forester and the Palm Beach USBG at Sweetwater Bar. 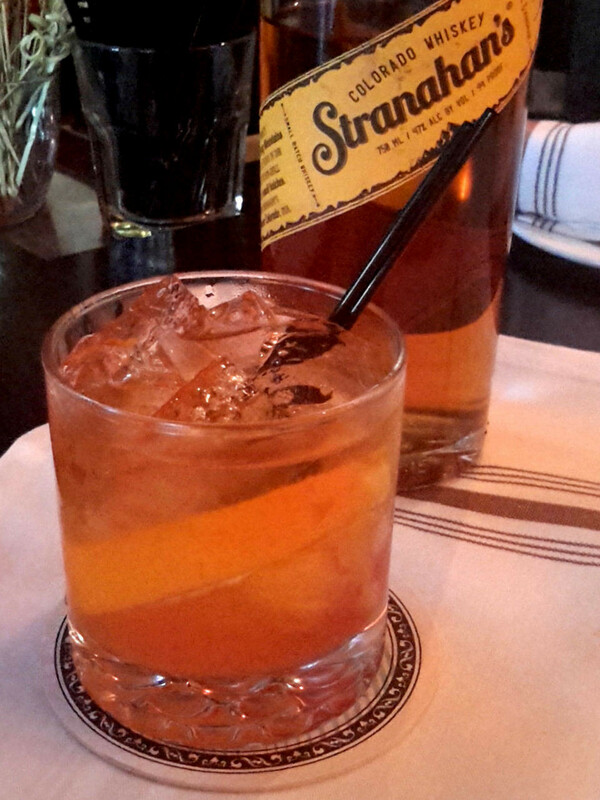 Dined at City Oyster with a handcrafted Stranahan Old Fashioned by Dan Andrews. Then joined the fun at Max’s Harvest for the Chef vs. Chef series opening night in Delray Beach. Enjoyed a fantastic Old Fashioned cocktail and good company. Ending the mont, Gin 101 training with Sipsmith Gin‘s brilliant Sam Galsworthy at Stache with local bartenders. Then off to feast with the ‘Hog Father’ Chef Louie Bossi and his team. Try their Amaretto Sour, perfectly balanced sweet with a tart finish. Had a blast with friends from Damage Studios as Stache 1920’s Drinking Den & Coffee Bar launched their new Whiskey Den with Whistle Pig Straight Rye. Creative Director and head bartender, Bill Binder crafted Manhattan’s for us. We wrapped the weekend and had a groovy time at Mod Wine Bar‘s launch party with owners Chad and Frank. Ended the month at the USBG Palm Beach meeting and Barrel Aged Whiskey training. Solid.